While the IDF works to boost hareidi-religious enlistment, MK Wilf worries that hareidi soldiers will mean fewer female soldiers. While the government hopes for success with its new program to recruit hareidi-religious soldiers, MK Einat Wilf (Independence) is less enthused. Wilf said Sunday that while she supports the goal of hareidi enlistment, she wants to be sure that it will not come at the expense of female soldiers. Programs geared at hareidim often include strict separation between the sexes, in order to respect the soldiers' religious values. “There is a problematic norm, where in each unit that hareidi men enter, women are pushed aside,” Wilf said. Women may lose their opportunities to serve in combat, or in senior positions, she warned. 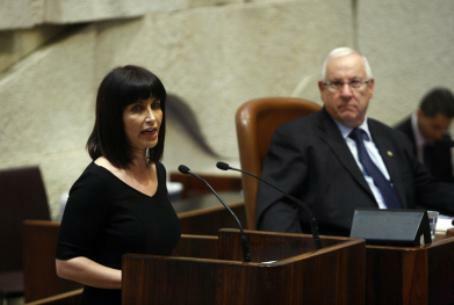 She called on the Foreign Affairs and Defense Committee to work with the IDF to ensure that hareidi enlistment would not change service for women. MK Wilf has previously pushed to include women in negotiations with the Palestinian Authority.